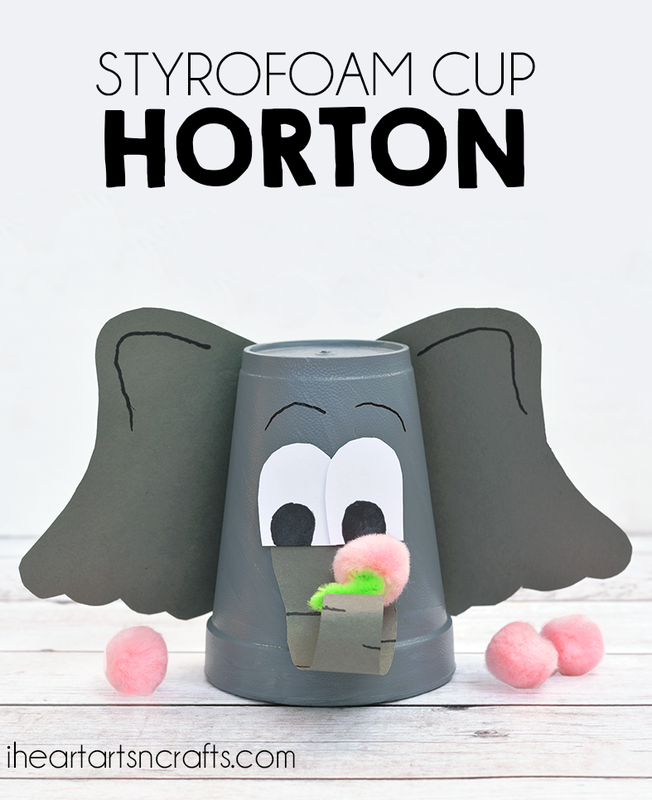 Transform a styrofoam cup into Horton, from Dr. Seuss’ Horton Hears A Who for the perfect craft to pair along with the book! 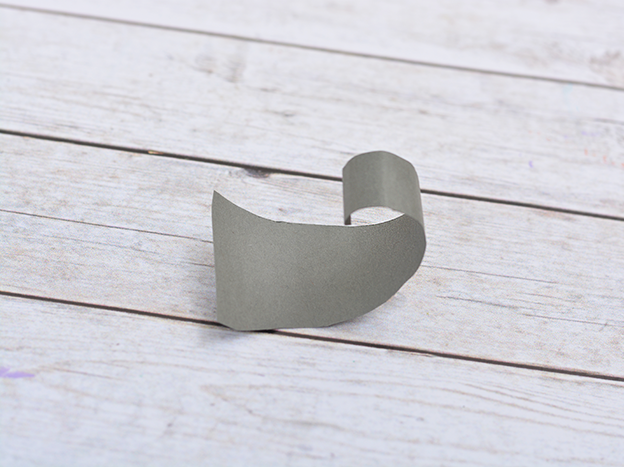 To start you’ll take your styrofoam cup and paint it grey. 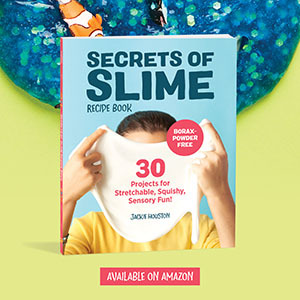 Then set it aside to dry and grab your scissors and card stock paper for the next step. 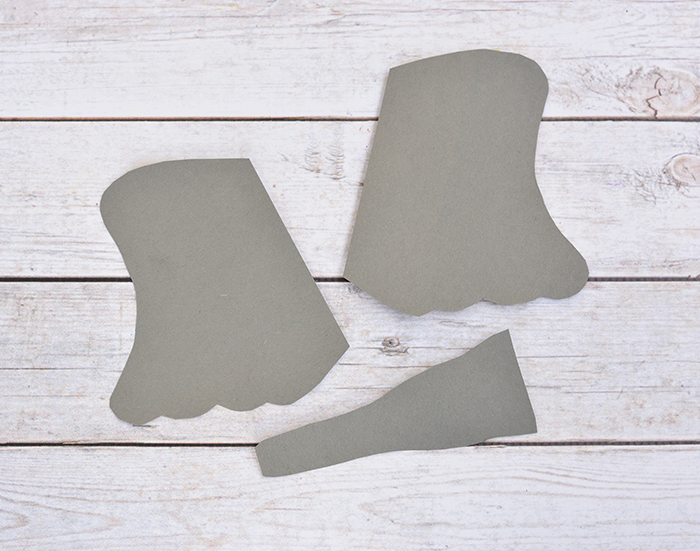 Draw the shapes for your ears and trunk, then cut them out of your grey card stock. Using a pen or pencil, take your Horton’s trunk and curl it around the pencil so that the trunk stays curled. After you’ve finished that step you can glue everything onto your cup including google eyes, or use white paper and cut out the eye yourself. We also used a black marker to add in eyebrows and some lines on the trunk. 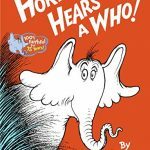 To finish it off you’ll want to make Horton’s speck to attach to his trunk. Take your green pipe cleaner and trim it down to size, then glue your pink pom pom to the top of your pipe cleaner. 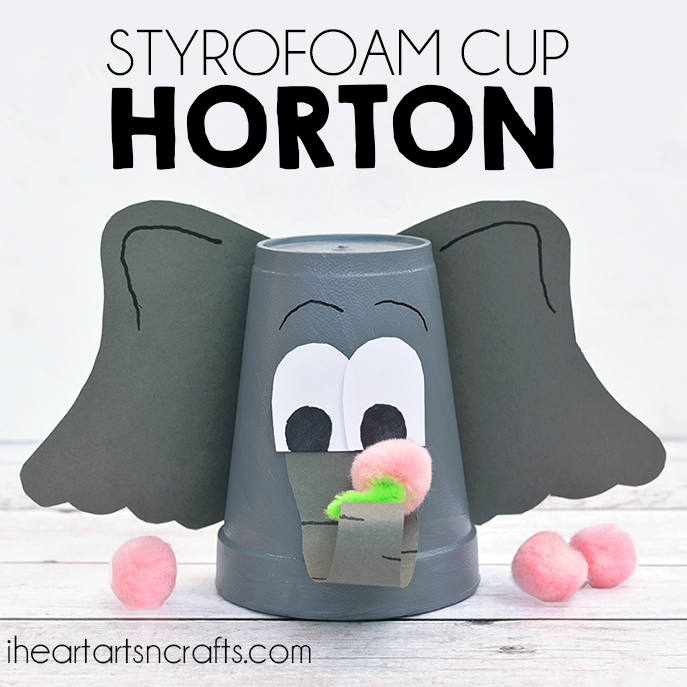 You can then attach your speck to Horton’s trunk!